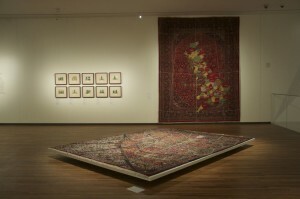 12’ x 10ft. 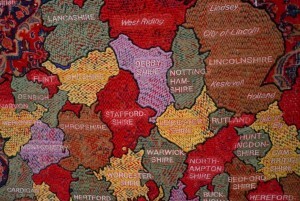 (144” x 120”) 365.76 x 304.80cm. 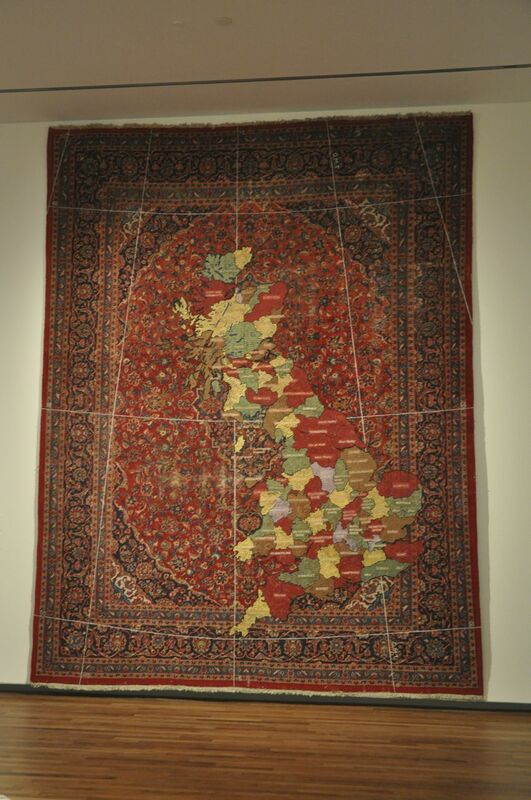 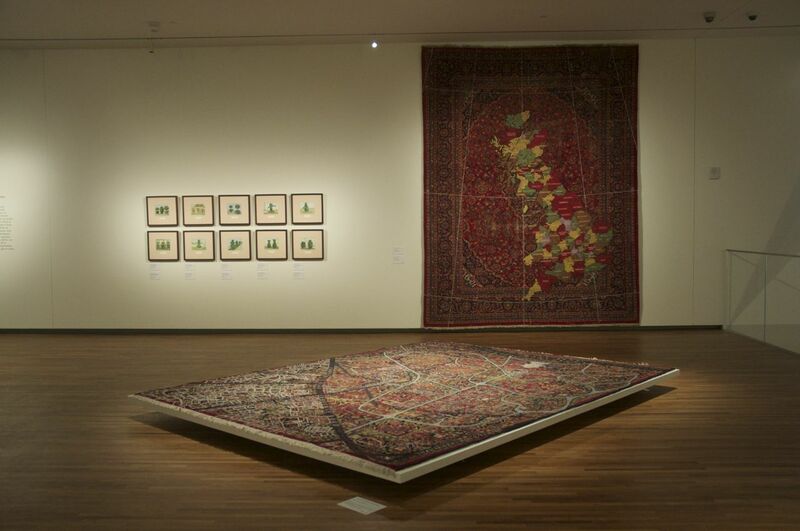 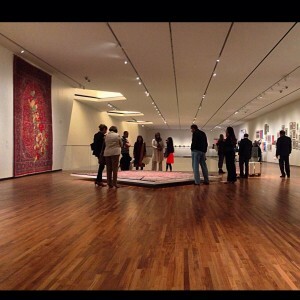 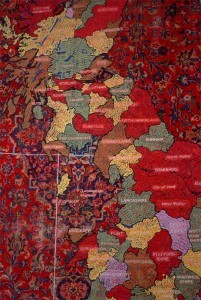 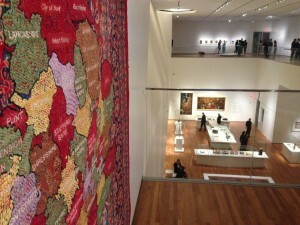 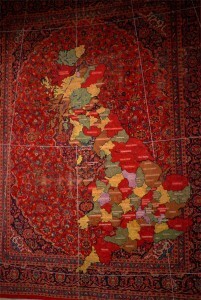 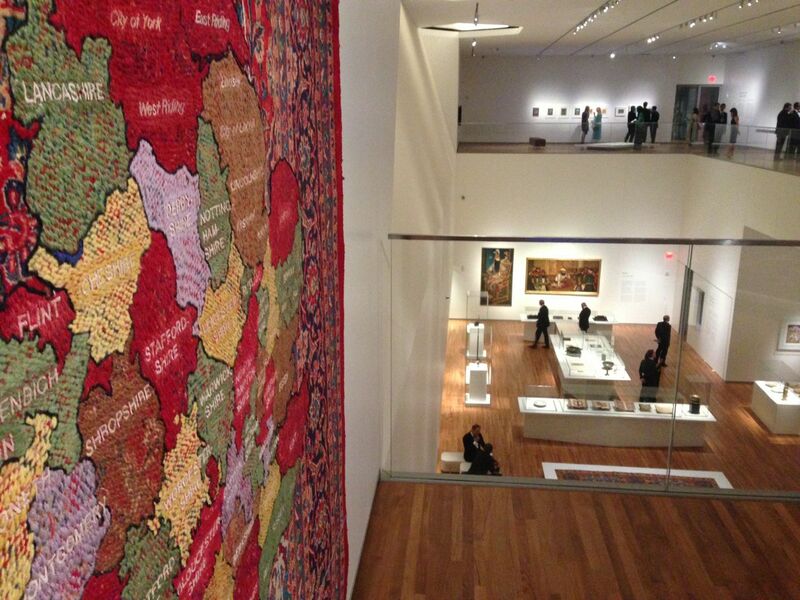 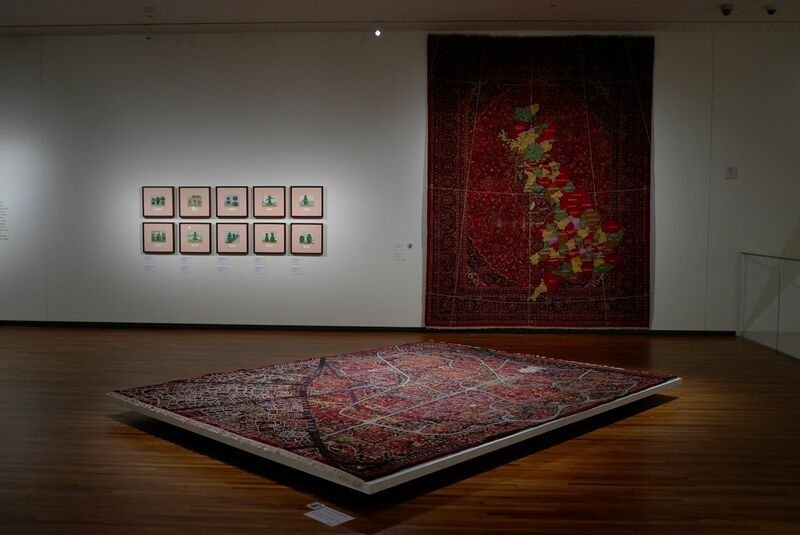 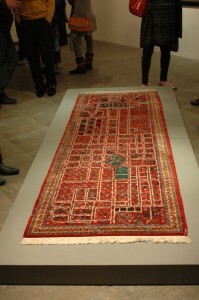 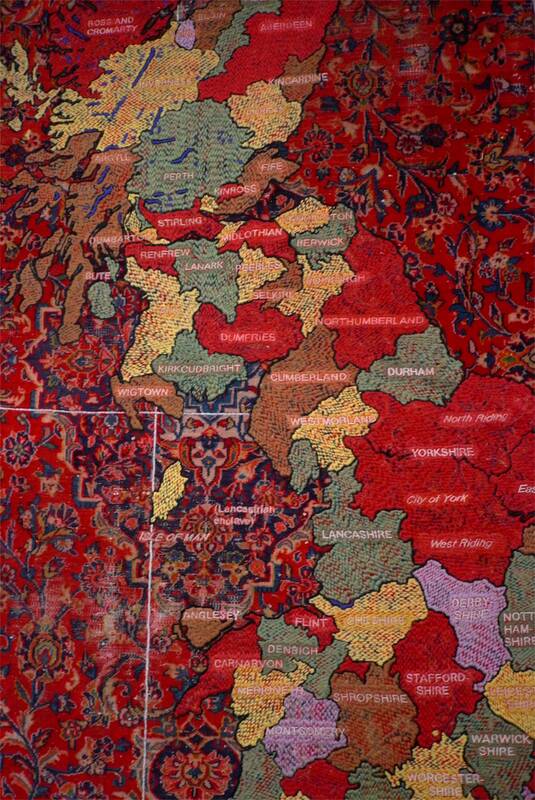 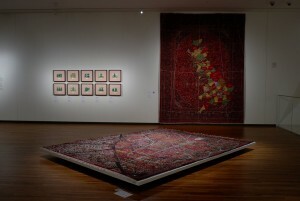 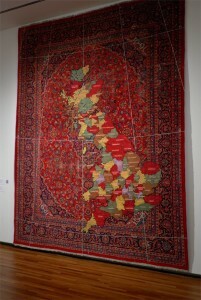 An embroidered sheep’s-wool textile intervention into a large, used, Kashan carpet based upon the county mappings of the United Kingdom. 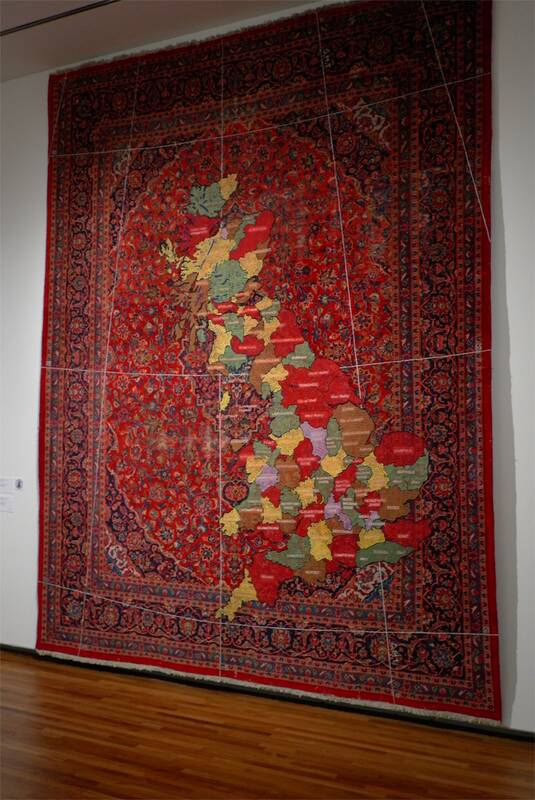 This refers to a jig-saw puzzle that I had completed many times with my mother whilst growing up in England in the 1970’s. 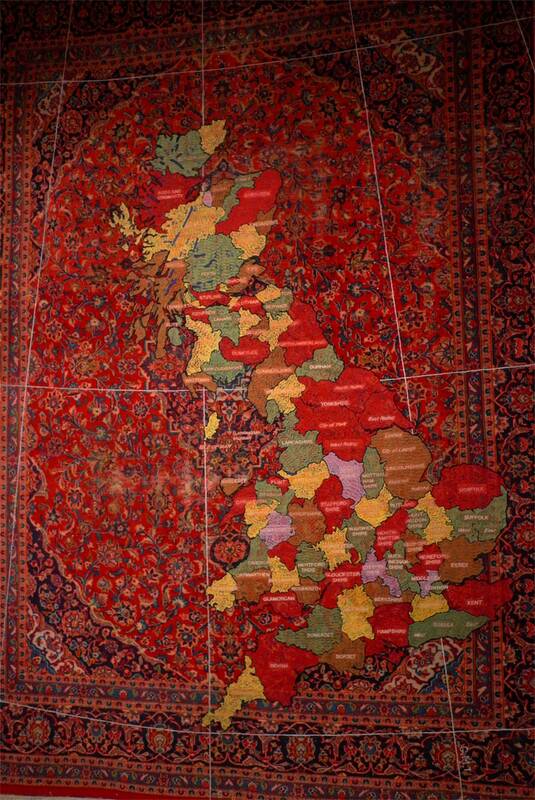 It was a traditional and old fashioned educational toy, that revealed, even to a child, the impossibly divided nature of the ninety-seven mostly minuscule counties that make up the British Isles and give rise to its inhabitants world-view. 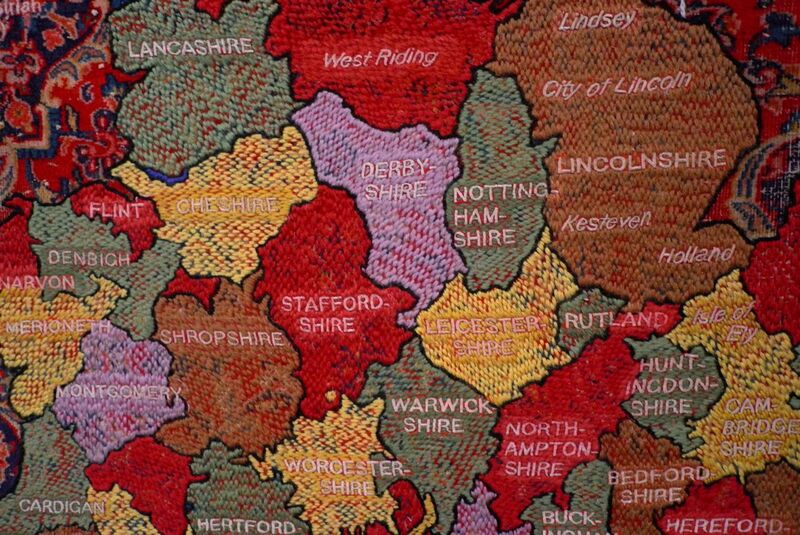 This mapping was brightly coloured in such a way as to emphasize the entirely different nature of each county within the United Kingdom.